Bago in Myanmar is the home of ancient stupas, pagodas and temples. Located only a couple of hours away from the major city of Yangon (formerly Rangoon), the ancient city of Bago is an important tourist destination and pilgrimage site, primarily for its religious and archeological significance. Located on the west side of this ancient city is the Shwethalyaung Buddha, the most revered Reclining Buddha in Myanmar and second largest Reclining Buddha in the world, longer by 9 meters than the Reclining Buddha in Wat Po, Bangkok and smaller only than the Reclining Buddha in Dawei. 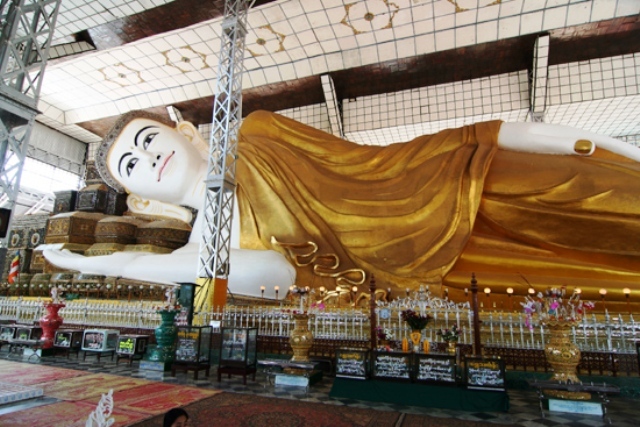 It is also refutably one of the most lifelike of all the Reclining Buddha statues in Asia.